At VMworld yesterday Paul Maritz hosted a supper session after the keynote to explain more about the VMware vCloud Datacenter program. Here are the session details. Abstract: VMware CEO, Paul Maritz, will be discussing VMware’s newly announced cloud technology and how it’s being used as the foundation for a secure, high-performance vCloud service that is being introduced by leading service providers around the globe. Paul will be joined by key service provider partners that are delivering this new class of service, as well as enterprise customers who are at the forefront in leveraging public cloud services. In this session, you’ll learn how cloud computing is evolving traditional IT environments, making them more agile, secure and flexible. It was a great session it was good to hear from the providers and customers on the program. Here is a video which includes most of the session. Disclaimer : I work for a subsidiary of SingTel who were one of the panel participants. Either way, it was still a good session with great information from speakers. First session this morning at VMworld was by Howie Xu, R&D Director, Virtualisation and Cloud Platform at VMware. Howie is the networking futures guys. There was much expectation for this session with speculation around its content. Here are some of the items that Howie talked about. The lines between servers and networking are being lost. The two are blending. The network needs to be extracted from the workload. Bu the rate of change in virtual environments now at the networking layer is high and companies can't fund the staff to keep up with these tasks, which are generally quite standardised. The different networking services from layer 2 to 7 are a headache to manage and co-ordinate. As we head for the Cloud this is going to get worse. Much of the problems can be solved through virtualisation, that is having a first layer of abstraction. but still keep functions, such as separation of duty. The network must be made transparent with the same services whilst being able to scale out on demand. A new vision for a vChassis which contains a data management and control plane that is a "session centric" virtual platform. Todays networking is based on discovering things, such as addressing via DHCP, learning MAC addresses. Yet in this new world the virtualisation layer can be authoritative, it knows all of the details and does not need to learn them. a vChassis should talk virtual 3rd party line cards that provide services, such as IDS. These need to be able to interact with hardware in some cases for offload, for example SSL. There are problems with doing networking today, the IP address is used for identity and location, VLANs lack features like a hierarchy. You have to pre-provision VLANs to get around things but its a little messy. We need a virtualised a layer 2 . Mention of vShield Zone/App, expect to see more of this detailed and discussed this week. 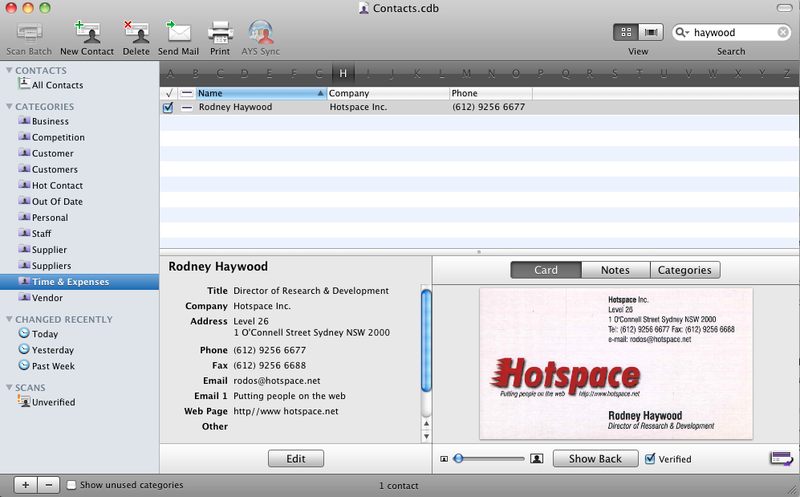 A mock-up screen was shown of what this may look like (see picture above). 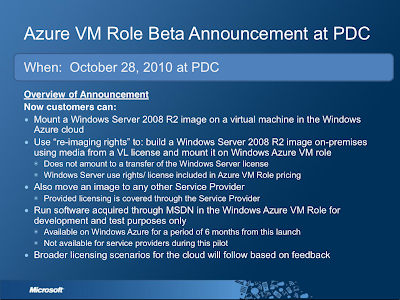 Being one of the first sessions before the announcements were made I think some of the details which may have been discussed were left out. Hence it was a good session showing where VMware are going but it lacked that little bit of detail which gets your brain really thinking. Great to see that VMware are dealing with the management problems and including facility for the 3rd party vendors to integrate. Hopefully it will be a little clearer for everyone by the end of the week. Okay here is a list of bloggers in Australia who cover the IT Infrastructure, Virtualisation, Data Centre, Storage and possibly virtualised Cloud space. You will see that the list is short at the moment, as I am trying to create it. Please post a comment or send me a tweet if you know an active blogger in Australia who covers any of these areas in IT. You know we need more good tech bloggers in this country! Note : I have put the employer of each author not to make any statement but to simply blog with integrity. As I am pointing people to these sites others may not be aware of each persons situation. I am sure that all these people write their own views not their employers. If you are listed and you want your employer removed and I will delete the entry. P.S. To get added you have to have had more than a few posts in the last few month, be on topic and live in Australia. Posting on Apple products all the time won't make the grade. Apologies if you are an awesome Australian blogger and I don't have you there yet, especially if we are friends, innocent mistake, let me know! Want to get yourself to VMworld San Francisco but can't convince your boss or afford to drag yourself there under your own steam? Well here is your chance to win a free conference ticket, plus the accommodation and airfare. The airfare can be international so all you Australians out there, this one is for you too! The prize is being organised by Gestalt IT and sponsorship is being provided by Xsigo and Symantec! 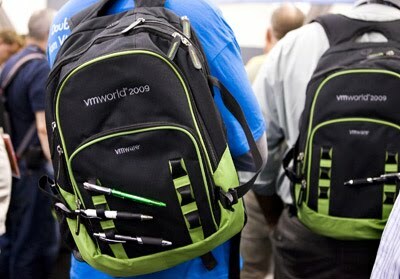 All the details are over at the post "Announcing the Gestalt IT “Get Away to VMworld” Contest!". The winner will be picked by a group of judges (I am one) based on how well you plan to "pay it forward" from your win. Describe how you will share your enthusiasm for VMware, virtualisation or whatever its is you are into as a result of your visit to VMworld. This is my 5th year in a row at VMworld so I can attest its the biggest geek fest and party of the year. So get your entry in and I might just see you there! When you deploy your UCS environment once of the first things you will want to do is integrate it into your monitoring system. One way is through integrating with syslog. Here are some notes and tips. When problems occur in your UCS environment they will appear as Faults inside the Administration area. Click on the screen shot below to see some. One thing to know is this page only shows you the current alerts, once they clear they disappear. Here is an example alert exported from my system. One of the key bits of information you are looking for is the fault code, in the example above its F0207. 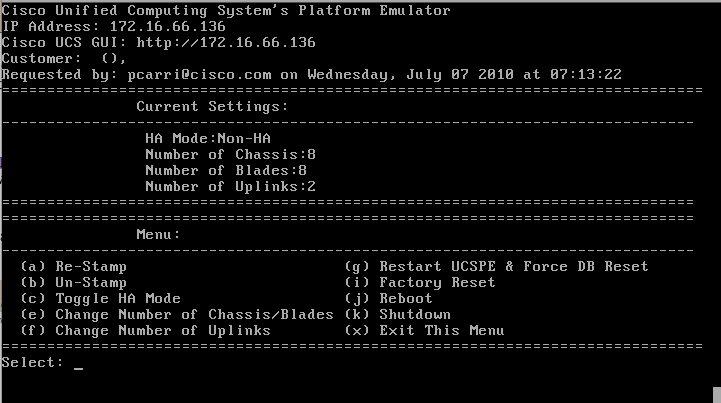 With that code you can look it up in the Cisco UCS Fault Reference. If you search the reference for that code here is the details presented. 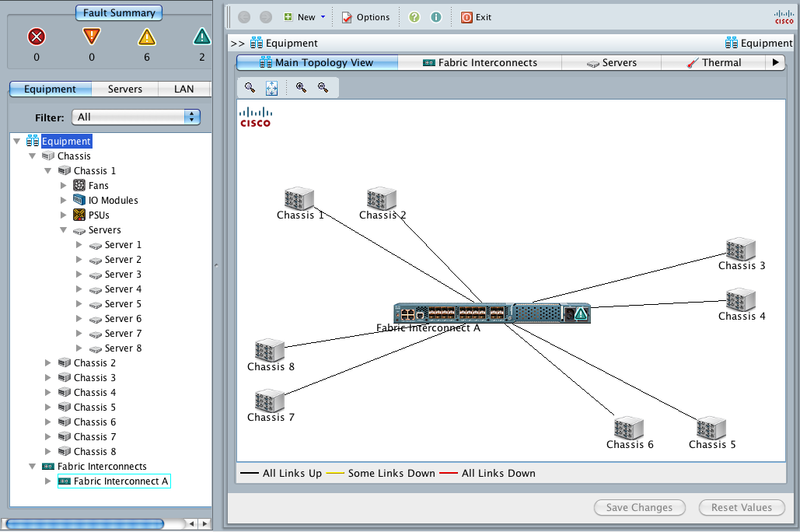 • The fabric interconnect is in End-Host mode, and all uplink ports failed. • The server port to which the adapter is pinned failed. • A transient error that caused the link to fail. 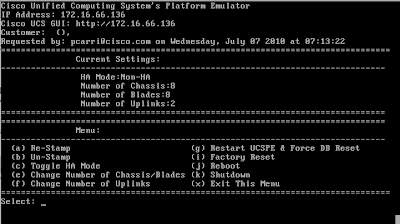 Step 1 If an uplink port is disabled, enable the port. Step 2 If the server port to which the adapter is pinned is disabled, enable that port. Step 3 Reacknowledge the server with the adapter that has the failed link. Step 4 If the above actions did not resolve the issue, execute the show tech-support command and contact Cisco technical support. All codes are listed and the fault reference may be a valuable reference for you the first time you come across and error. For here you will typically you will want send these alerts to your management platform for automated monitoring. A great way to do this is via syslog. 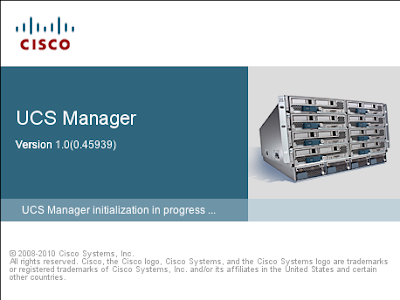 Cisco have a good guide "Set up Syslog for Cisco UCS" you can follow for doing the configuration. Here is a shot of the page where you set it up. Now once this is configure the alerts will appear in your syslog server. Here is what our example above looks like as a syslog entry. You can see that fault ID F0207 which you an use as a reference. But also notice I have copied in two entries. One is the first event where the fault occurred and the severity level "major" and then there is another entry which states "cleared". You will want to filter out the cleared ones or if you have a smart system get it to match the two so you know which events have been resolved. Hopefully the examples assist some people. 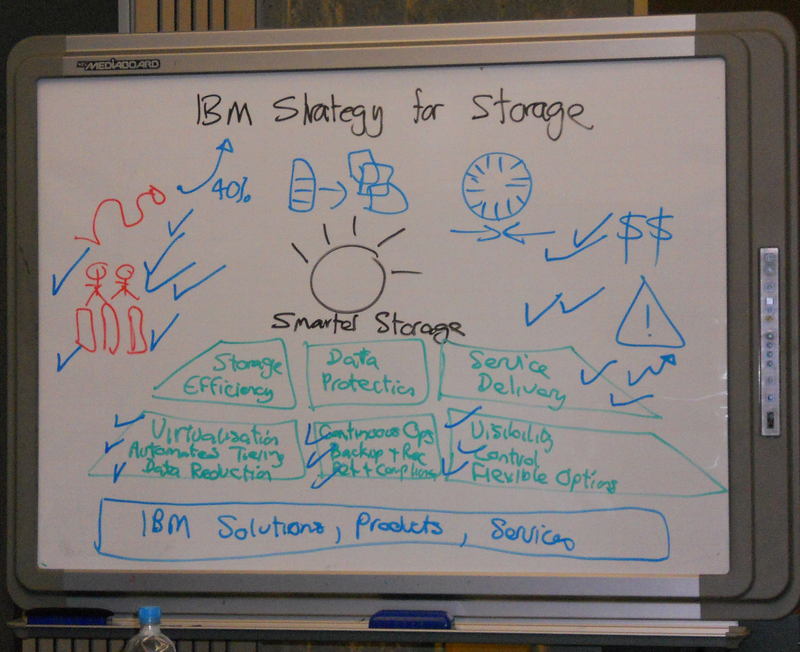 Take a pile of smart just with backgrounds from Sun, Netapp and Data Domain, throw in a few PHDs (I assume) and see what falls out; thats Nimble Storage who launched at Gestalt IT TechFieldDay Seattle. Nimble call their technology game-changing, taking what was available in separate products and putting it all into one. 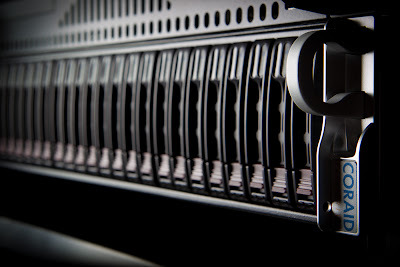 Nimble coverage of iSCSI primary storage, backup storage and disaster recovery in a new architecture that combines FLASH and high capacity low cost SATA in a new way. This brings FLASH into the range of many enterprises who would like to use it for more common workloads like Exchange, SQL and VMware. 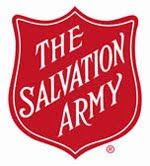 Their target is for organisations with 200 to 2000 employees. Nimbles competition in the iSCSI market with market sizes (from IDC) are Equallogic who have 35%, EMC 15%, HP and Netapp are around 10% each. Nimble have done the brave thing and started with a clean sheet of paper to try and create something that no one else can deliver. The problems they are trying to solve are delivering fast performance without all those expensive disks and how to efficiently back it all up plus replicate that data to a second site for continuity purposes. Inline Compression. A real time compression engine as data comes in. On primary datasets they are seeing about a 2:1 saving and on things like databases a 4:1 saving. Blocks are variable in sizes and Nimble take advantage of the current state of multi-core processors having a highly threaded software architecture. 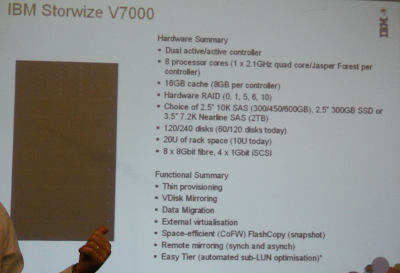 Large Adaptive Flash Cache. Flash as a caching layer, starting at 3/4 of a TB for the entry box. They store a copy of all frequently access data, but all data is also storage on the cheaper SATA storage as well. 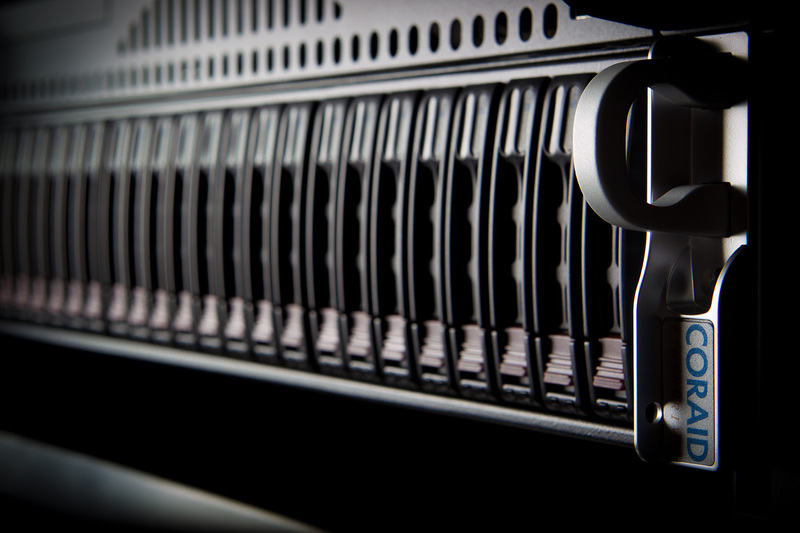 High-Capacity Disk storage. Using large SATA drives. Integrated Backup. 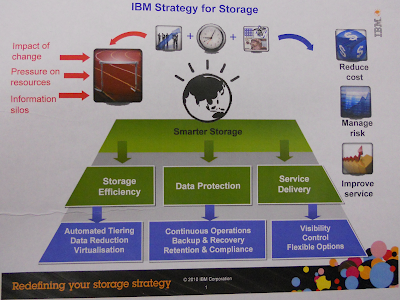 60 to 90 days worth of "delta compressed incremental snapshots" can be stored on the system. 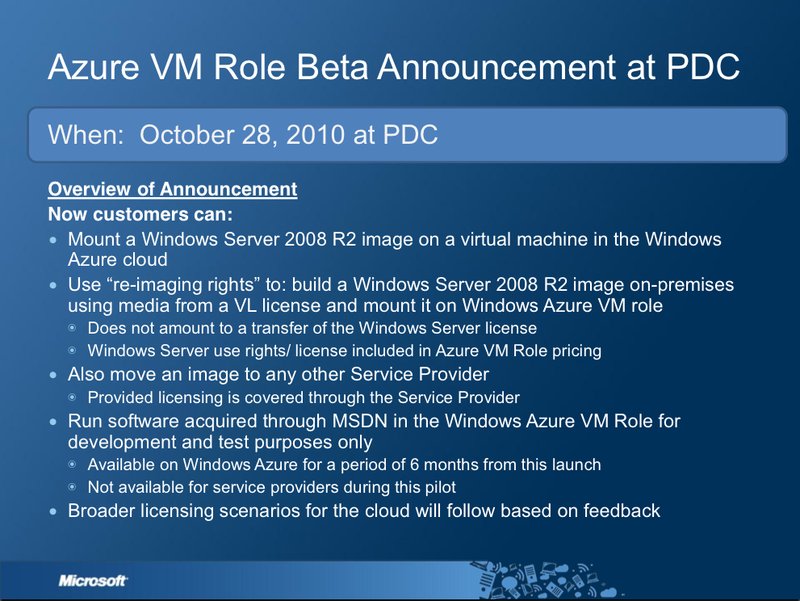 They have put a lot of work into integration with Microsoft applications, integrating the VSS for ensuring consistency. The snapshot efficiency should remove the requirement for a secondary backup system outside of the primary storage. Combine this with replication to a remote site and you have a protected system. Nimble showed the results of some testing they performed on a Exchange 2010 19GB database running snaps over 10 days, the other vendor (Equallogic at a guess) consumed over 100GB of data whereas Nimble only consumed 3GB. A 35x improvement was claimed. This then results in less to replicate. Its suspected that the reason for this difference is the smaller and variable blocksize that Nimble can use, the competitor has a large blocksize. Replication. The replication is point in time snapshot replication. Once nice thing that you can do is maintain different retention periods at each site. For example you might want to maintain a much higher frequency of snaps locally and a less frequent but longer tail of snaps over at DR, very nice. They have a VMware Site Recovery Manager (SRM) plugin in development but it has not been certified yet. Today you can't cascade replication but it will be coming in a future release. Cascade my be important for people who want to use the Nimble for backup, replicate locally and then offsite. When you create volumes they can be tuned for various application types, tweaking such things as page size or if it should be cached. The Nimble ships with a set of predefined templates for popular appellations. 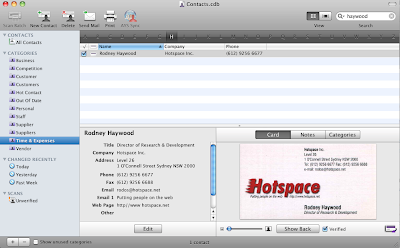 The same for snapshot policies which can be templates and a predefined set are provided. 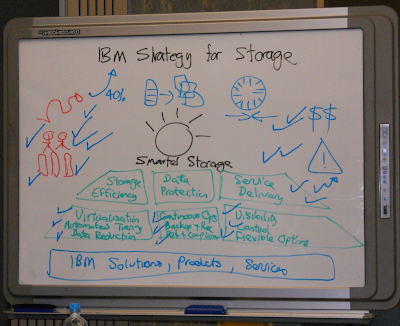 The pricing estimates they have done is at under $3 per Gb for primary storage at an entry price of around $50K. 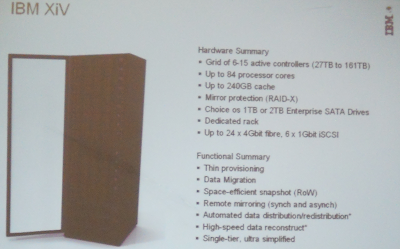 Here is the specs of the units. There is no 10GB interface option yet but it will be considered on customer demand. The same goes for having a Fiber Channel interface. The controllers are active, passive on a system (not LUN) basis. They currently have 10 to 12 beta accounts. Umesh Maheshwari then have some further details on the technology behind Nimble. A great discussion from someone who knows the industry and the technologies, as you would expect. This technique of sequentialized was developed by Mendel Rosenblum in his PHD thesis in 1991 (see paper). If you don't remember Mendel was one of the founding brains behind VMware so his ideas have a good track record. Its called a Log Structured File System. So why has this been done before, well it took technology a while to catch up to the idea. The original concept relies on the assumption that files are cached in main memory and that increasing memory sizes will make the caches more and more effective at satisfying read requests, hence the disk traffic will become dominated by writes. With only small amounts of RAM available it was a problem. Secondly the process requires a background job to do garbage collection. Nimble have created CASL, an implementation of the log based file system. It utilises a large amount of FLASH for the cache and its integrated closely into the disk based file system. The index or metadata of the system is cached in the Flash and therefore the garbage collection can now work efficiently. Of course cache is bit of a simple word for what it does, its not a LRU, there is some complex meta data being tracked for performance. The second element is the sequential layout of the data on the disks. How you store data on disk could be categorised into 3 different techniques. its a very simple layout, you don't need lots of indexes. Of course this makes you wonder whats the difference between the CASL cache and what many other providers are doing with a Tier of Flash? Because the cache is backed by disk (the data is in the cache and on the disk) you don't need to protect the data on the disk. This means you can use cheaper flash drives and you don't need to do any parity or mirroring giving you saving of 1.3 to 2 times. Its much easier to evict or throw away data in the cache than it is to demote data out of a Flash tier into a lower one, you don't have to copy any data. You don't have to be so careful about putting things in cache as its not an expensive operation so all writes or reads can be put in cache for fast access if you need it again and of course cache is a lot more effort to integrate into your file system than tiering so if you are dealing with legacy its much harder then when you are starting from scratch like Nimble have. I really got the feeling that Nimble are not trying to be everything to everyone. They are focused on a particular market segment, hitting their pain points and attempting to do it better than the incumbents are. its looks hard to scale out if you just need some further storage as you can't add disk shelves, you get what you get. Yet their is nothing in their architecture to preclude some changes here which is good. The big question will be is it different enough to the competitors for them to get into the market. If you only difference is doing something better (no matter how clever it is under the hood) how easy is it for your competitors to be "good enough" or a much better price point. Some good marketing, sales force and channel are going to be key. With CASL, Nimble certainly have some very nice technology, but nice technology does not always win in the market. Its certainly going to be great to see how their early adopters go and how they adjust the hardware range and feature set over the next 12 months! Note that its not available in Australia or EMEA yet.